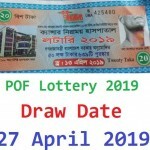 All Banglalink Bundle Offer Code & Activation System! 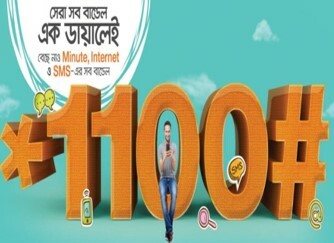 After a long time passing the Banglalink Telecommunication company brings a Users Friendly option name best Banglalink bundles in just one dial (*1100# menu). Under this Dial Menu *1100# customer are Freedom to choose their own favorite package such as Talk-time bundle, SMS Bundle, Internet bundle. All the Banglalink prepaid and call and control connection users are eligible to buy the Bundle Offer 2017. If you want to know more about the Banglalink *1100# Menu, just follow the below. Go to the Banglalink Bundle Offer Menu, just Dial *1100#. After going to the BL Bundle Offer Menu, type the given bundle serial number on the menu and reply. VAT + SD + SC is included in Bundle Offer Price. When the Validity Expires, the unused internet, SMS, Talk-time minutes can’t be used anymore. If BL Bundle Internet Offer validity end, customers will be charged ‘pay-as-you-go’ package of TK 0.01/10KB. when customers buy the same Package in Validity period, the longer validity will be applied on this same Bundle package. If you want to know more about Banglalink Bundle Menu *1100#, just Dial 121543 charge free. Thanks for staying with us a long time and visiting All Banglalink Bundle Offer Code & Activation System article. If you have any confusion or question or want to know more about BL Bundle Offer Menu *1100#, just comment here. We reply as soon as possible with a correct answer.